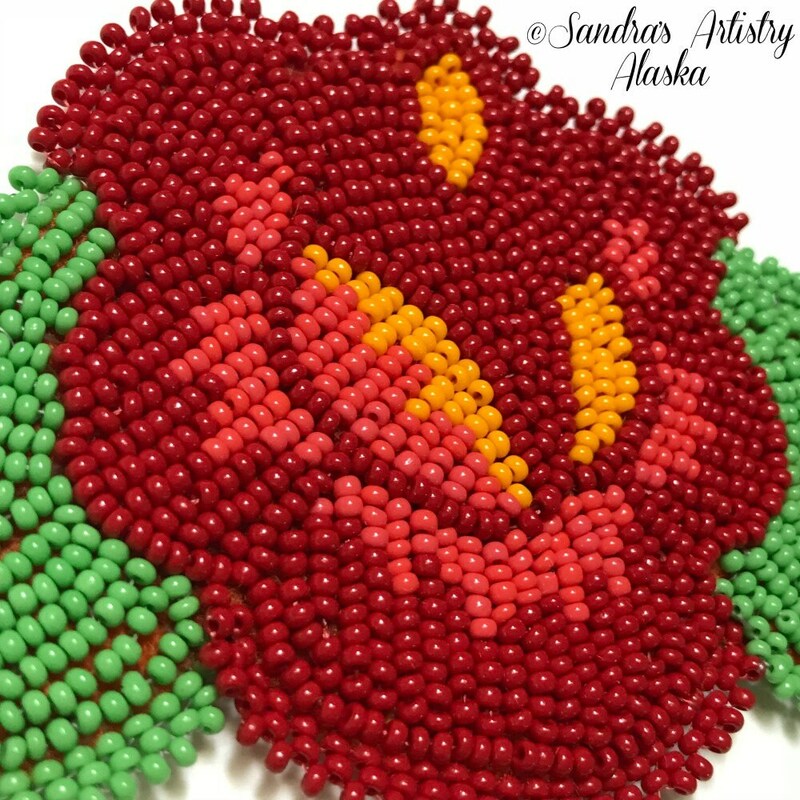 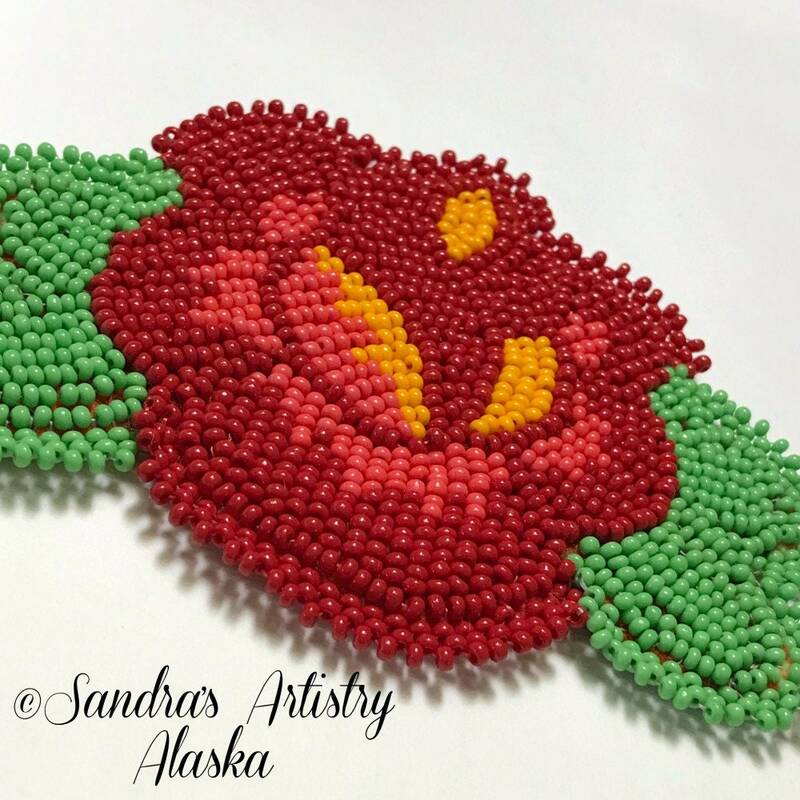 Alaska Handmade Beaded Medallion-3" W x 4" L in Czech Glass Beads. 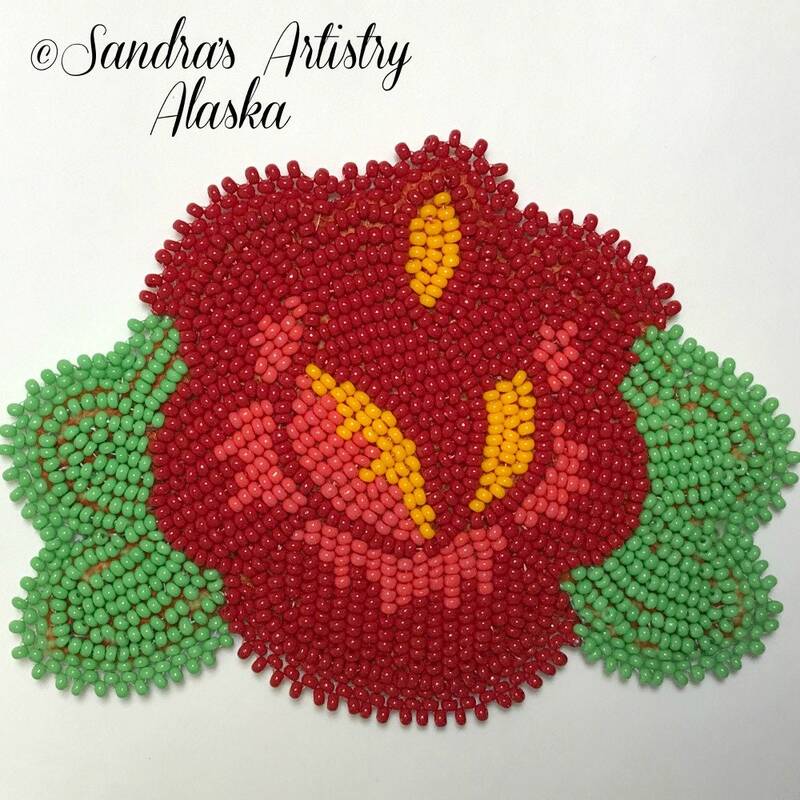 The piece is handmade hand-designed and beaded in size 10 Czech glass beads, with decorative finished edging and backing. 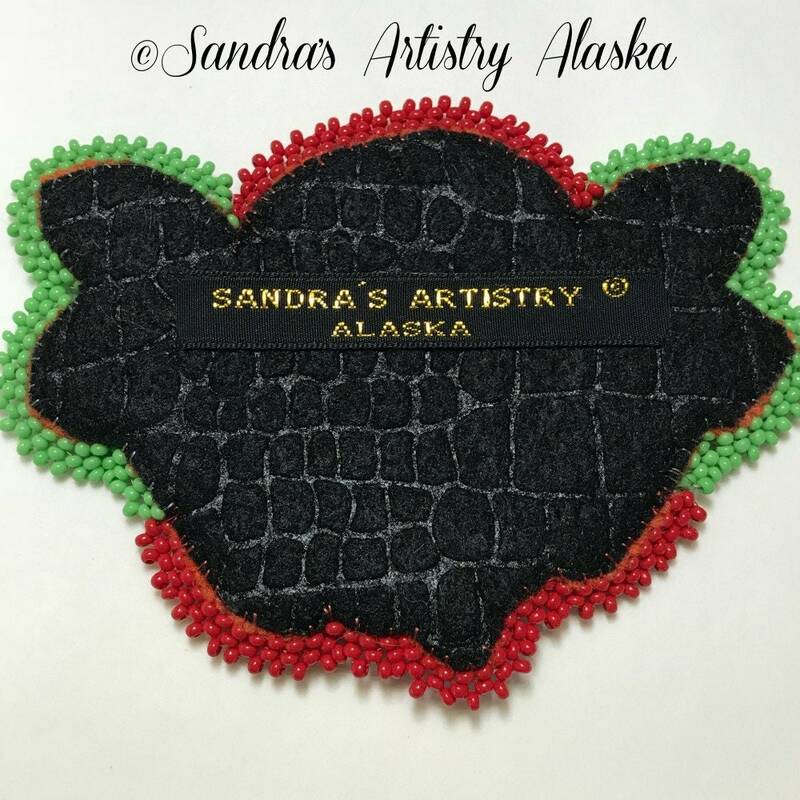 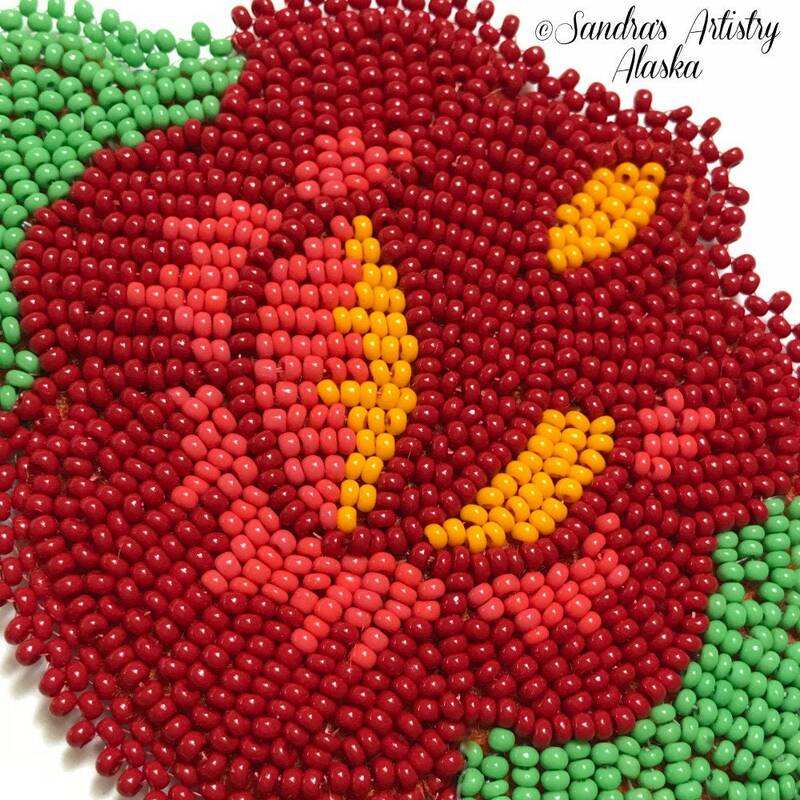 Suitable as an applique, pin, or necklace, or barrette, or on a handbag or clothing addition.